Did you know that REALTOR.ca receives up to 21 million visits a month from consumers looking to buy, sell or rent property? So, are you taking full advantage of this visibility available to you as a member of CREA? Is taking full advantage of REALTOR.ca one of your priority marketing activities? If not, here are four easy ways to get started on the road to success with your REALTOR.calistings, based on the results of research we’ve done into consumer preferences. When uploading a listing to your Board or Association’s MLS® System, provide as much information as possible. 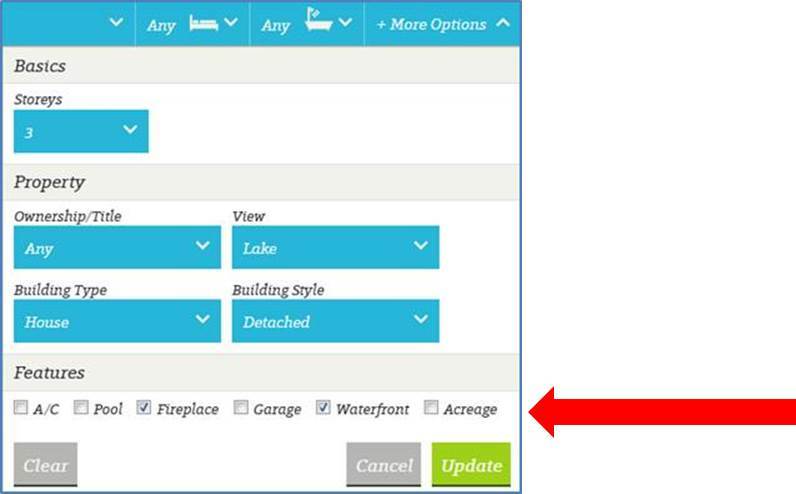 Users of REALTOR.ca can narrow their searches beyond just price range and location. Someone dreaming of a waterfront property with a fireplace is able to include these amenities in their search criteria. So don’t leave anything out – you want your listing to be found! A sceenshot from our new REALTOR.ca beta site. For cases where your MLS® System does not allow you to check off certain amenities, make sure to add them in the “description” field. Remember, it’s all about matching your listing info with the right person’s dreams. So if your listing includes a secret underground garage, don’t forget to mention it. There could be Bruce Wayne wannabes visiting REALTOR.ca as we speak. According to work done through our consumer panel (April 2013) that asked Canadian consumers about their ideal listings website, large hi-res images were, not surprisingly, the most popular feature. The new REALTOR.ca (which you can now try in beta) was designed with this consumer expectation in mind. Images have more prominence than ever throughout the site, notably on the listing page. Take this into consideration the next time you take pictures for a listing. Consider hiring a professional photographer – it will make an impact on the new REALTOR.ca. Also, keep your pictures fresh and in-season. If it’s summer, consider taking down those pictures with snowbanks! The ideal image size and resolution varies from one MLS® System to another. Contact your Board or Association to get the optimal image size/resolution specs. The same research had “video tours of homes” as the second most important feature for the ideal property listing site. So why not go the extra mile, and produce a video tour? An app like Videolicious makes it easy and cost effective to produce a professional looking video in minutes (all you need is your smartphone or tablet). Then simply include the link to your video tour as part of your listing. 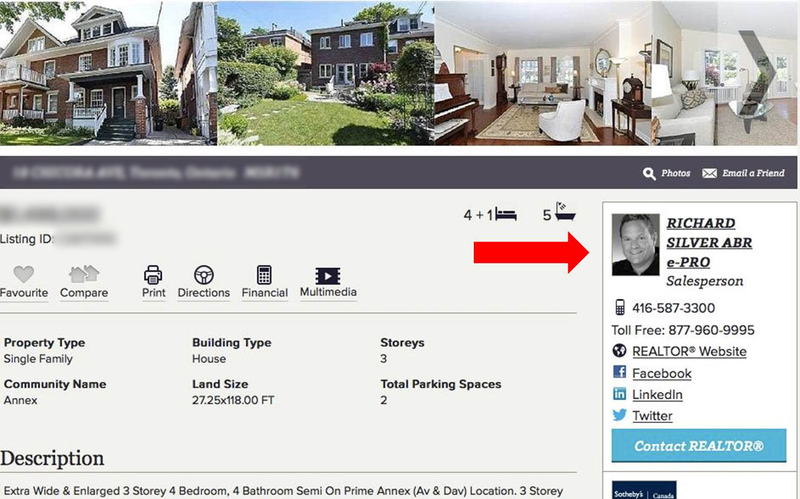 Doing so will make a “Multimedia” button appear on yourREALTOR.ca listing page. According to experts on international real estate at Inman NYC 2013, video is an absolute must if you’re hoping to target international buyers (check out my previous post on this topic). They expect to see video of your property and the surrounding area. #4 – Don’t forget – you are also part of the listing! Like your listings, take advantage of your space on REALTOR.ca to show your professional side. Include a hi-res picture, contact info, link to your website. This information can all be pulled from your MLS® System and displayed on REALTOR.ca. If you have built a social media presence, don’t forget to include your links. It will make it easier for users of REALTOR.ca to learn more about you and your services. REALTOR.ca is there to help you be successful, and this starts with making it easy for you to make your listings to look amazing. So make the most of it!